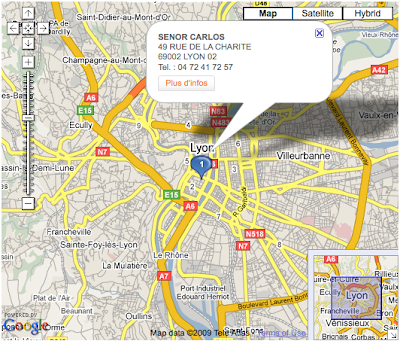 Lyon Eats: Senor Carlos comes to Lyon! Looking for authentic (and I mean authentic!) Chilean and Argentinian fare? 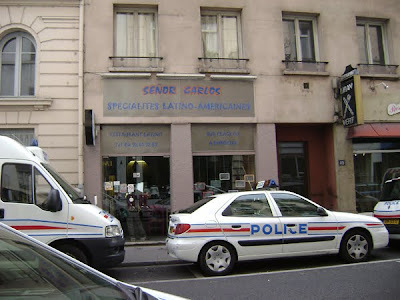 Look no further than Senor Carlos, located at 49 rue de la Charité, just around the corner from Bellecour. His specialty is empanadas (baked or fried) including ricotta-spinach, shrimp-cheese, onion-corn, tuna, ham-cheese, chorizo-cheese, cheese-corn, and beef. And for dessert: sweet empanada with cheese and cinnamon. Prices range from 3€ to 4.50€ for empanadas and 8.90€ for chili con carne with rice. Open Tuesday-Saturday from 11:30am-2:30pm and 7pm-9:30pm. You can find also Senor Carlos on Saturday and Sunday mornings at the Marché Quai Saint-Antoine, selling his famous empanadas.